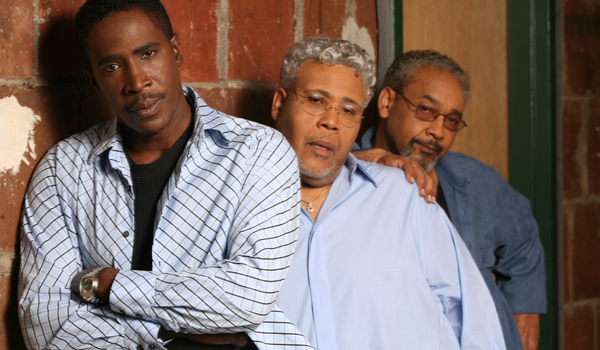 The Rance Allen Group (RAG) is one of the most explosive groups to emerge from the legendary Stax Records label in the 1970s. Their sanctified soul hits such as �Ain�t No Need of Crying,� �I Belong To You,� and their consecrated cover of The Temptation�s �Just My Imagination� placed them in a pantheon of deep soul artists like Otis Redding and Isaac Hayes. 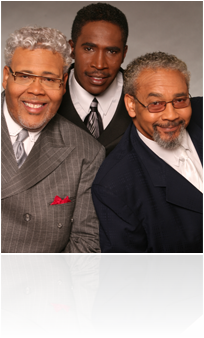 In the decades since, the Allen Brothers (Rance, Tom and Steve) have built on that foundation with their Tyscot Records-era hits such as the R&B crossover smash �Miracle Worker,� �Do Your Will,� and �Something About The Name Jesus.� Their sacred-secular musical fusion, chunky harmonies, lyrical messages of faith and fraternity, and Rance�s stratospheric falsetto have made them standout as one of the most dynamic groups to ever shuffle across the stage of Harlem�s famed Apollo Theater. RAG�s 2004 The Live Experience (Tyscot) CD is arguably the best-selling album of its career. The project features some of their fan favorites with cameos by modern-day gospel megastars such as Kirk Franklin, Fred Hammond and LaShun Pace. The album remains a brisk seller six years later. As they celebrate their 40th anniversary, RAG will now release The Live Experience II: Celebrating 40 Years of Music and Ministry (Tyscot) on January 25, 2011. Outside of including two medleys of their past hits, the new set is comprised of future classics such as �You That I Trust� and �Angel.� Joining RAG for the musical merry-go-round are Gospel�s First Lady, Shirley Caesar; veteran gospel star Vanessa Bell Armstrong; and the life of any musical party, Paul Porter. Recorded before a packed church at Detroit�s Greater Grace Temple, the new eleven-track set is destined to go down in history as one of RAG�s finest recordings. The album opens with a medley of their disco-era hits �We Care A Lot� and �Let The Music Get Down In Your Soul.� The lead single, �You That I Trust,� is a duet with Paul Porter, front man for the renowned quartet group, The Christianiares. Dipped in a succulent, soul stew of the Allen Brothers� rich harmonies, Allen and Porter�s volcanic voices explode over this sonic gem about learning to trust in God completely. Another soulfully delicious ballad is �Angel� which features bassist Gordon Henry�s dreamy Jimi Hendrix/Ernie Isley stratocaster-vibe humming quietly in the background as Allen and Steve testify about the divine apparitions they�ve encountered at the crossroads of their lives. �What He�s Done� percolates with a galloping rhythm that finds Allen and Tom trading verses on this tune about �joy bubbling� in their souls. RAG takes time out to offer up a reverential praise and worship ballad in �Holy One� which finds the trio backed by the Cincinnati quintet, Called II Worship. They then take us to the Mississippi Delta for a bluesy reprieve on a medley of �He Delivered Me - Hear My Voice.� The former hails from RAG�s 1995 CD, Phenomenon, and the latter was the title track of their 1983 LP. During a band-breakdown, Allen tells the story of God hearing his prayer when he and the brothers missed the plane taking them to perform at WattStax - the infamous 1972 black power concert at the L.A. Coliseum that�s become known as the Black Woodstock. Circa 1968, the kid, with himself on guitar, started the Rance Allen Group with his older brother Tom on drums, and younger brother Steve on bass. They recorded their first song �Let�s Get Together and Love� for the local Reflect label. It was poorly distributed, so they packed the wax singles in their instrument cases and sold them at their shows. Then, in 1971 they won a prize of $500 at a Detroit talent contest where legendary Stax Records promotion man Dave Clark was in the audience. Clark liked what he heard and took RAG into the studio that very day when they recorded an album�s worth of material that was purchased by Stax Records, the gritty counterpoint to Motown in the 1960s. In 1975 The RAG snagged a deal with Capitol Records where R&B sensations Natalie Cole and Peabo Bryson were receiving most of the label�s attention. RAG released a couple of albums before returning to Stax in 1979 after the company was purchased and reorganized by Fantasy Records. During this period, RAG enjoyed its biggest Stax hit with the R&B-styled love song to God, �I Belong to You.� From there, RAG moved to Myrrh Records where they recorded two albums, including, I Give Myself To You, that peaked at #5 on the gospel chart in 1985. BC: How does it feel, from a professional standpoint, to be 40 years old? RA: Forty isn�t bad at all. As a matter of fact, in the natural sense, they say that life begins at 40. I feel like while we�ve been here 40 years, there�s still so much more to do. BC: What makes it fresh and exciting every time you go into a studio or do a live CD? RA: For the live recording it�s the new music and the people�s response. In the studio it�s pretty much the same thing. Why did you choose to do a live album? RA: It was kind of out of my hands. Anybody at the record company will tell you that knows me that I do not normally like doing live albums because they just kind of work my nerves. You are working on it up until the night of the recording. This particular album started in January and didn�t end until July when the recording took place but then after the album is done, nobody loves it more than I do. BC: Is there a special theme that runs through the new album? RA: The theme as I see it � This is right off the presses since you asked that question. The theme I see is that we can do anything. That�s always my goal to encourage people to know that we need to unite in effort, unite in goals, unite in prayer, united in the strength of God. You know, Paul says I can do all things through Christ, which strengtheneth me. In Psalms 34:3, it says �Magnify the Lord with me� - the key word is with me, and �Let us exalt His name together.� The key word is together. So that theme is kind of running through this whole project. Together, look at what we can do! Look at how we can give God glory. Look at how God can bless all of us. BC: Why do you think that�s important now? RA: It�s really important now because of the day in which we live. The economy and all of the things that are of a negative state continue to be active at this point. The people of God have to come together and know that in times like these we have to come together and walk by faith and not by sight. Because if you use your natural sight you can become very, very discouraged. BC: How did you pick the guest soloists on the new CD? RA: I just sat and began to think about people that have a special place in my heart. Pastor Shirley Caesar is such a sweet person, a woman of God. Anytime she stamps her seal on something, people automatically know that you are making a serious effort, you�re not fooling around. 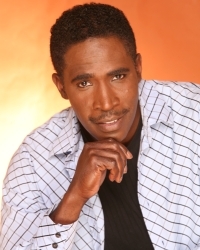 Then, Paul Porter is a guy who can just sing. He�s a humble guy. We�ve known each other for a number of years and anything that I�ve ever asked him to do or he asked me to do, we�ve been cordial to each other. Then, when it comes to Vanessa Bell Armstrong? We�ve known each other since we were kids. I call her the Voice - even from a little kid, I have called her that. I�m a little older than her so my career was off and running before she got into her�s but she was a fan of the Rance Allen Group before she became The Voice. I knew she�d be able to handle any song I gave her. BC: There�s a certain atmosphere on this CD that reminds me of not gospel as much as an old school soul concert that Marvin Gaye or Al Green might have given in their heyday. I don�t hear anybody in gospel doing that. RA: [Hums his agreement]. This is not a brag but just the way the Lord works things out, I don�t think you will hear anyone in gospel doing it the way we do it. There�s just a wonderful way that God has taken all of my and my brother�s experiences and married them together. When we were kids, we lived 30 miles from Motown in Detroit. Grandma and Grandpa and Mom, were all gospel lovers. Supposedly, R&B was not supposed to be allowed in the house but when they�d go to work, we�d dig under the couch and find all of the Temptations, Marvin Gaye and the Miracles and we�d play them. What we were looking for was musical structure. I don�t even ever remember wanting to take the lyrics and make them gospel. Mine was always the musical structure. Motown had a way of putting their music together that was just awesome. I think it was that along with wanting to somehow provide a way for gospel to take a different vehicle to the world. It had to be God because I�ve seen other people try to do it and it just doesn�t work. 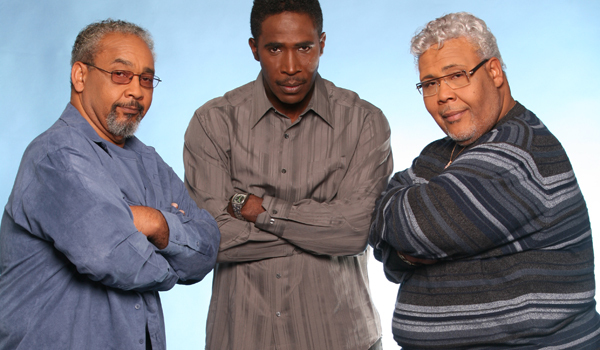 The Lord took our gospel lyrics and married it to the Motown-Stax kind of funky sound to come up with [what was in the early 1970s] the new Rance Allen Group sound. BC: Back in that day, were you planning to be a singer or was it more of a hobby? RA: It was a hobby. I knew I could sing and I always wanted to do something with my singing but I�ve always been the kind of person who waits for the direction of the Lord. I am a definite Isaiah 40:31 person that �They that wait upon the Lord shall renew their strength.� I knew He was going to do something, although, I didn�t know what. BC: What kind of work were you doing at that time? RA: I worked for the city of Monroe. There was some governmental program and I was making around $2.30 an hour. My wife, Ellen, and I had just gotten married in 1970 at one o�clock in the morning. I told her that as soon as I�m able, I�m going to take you to Hawaii for a honeymoon and when I was finally able to do it, it was 1993 but we got there [laughs]. BC: I�m curious. Why did you all get married at 1 a.m. in the morning? RA: I had to go to Grand Rapids where she lived. She was 16 years old, so I had to go and ask her father for his permission. So, by the time, we got back to where I lived, my Granddaddy was still up and waiting to marry us. He was pastor of the church. He stood us up in front of the old potbelly wood stove and that was December 1, 1970. BC: I�ve never heard much about your grandfather...Tell me about him. RA: Well, my grandfather was an excellent preacher. He could not read nor write but I would dare anybody to get into a dialogue about scriptures because he was that kind of preacher. The Rance Allen Group came out of the Good Will Church of God in Christ, which was my grandfather�s church. BC: Do you remember the night when Dave Clark of Stax Records �discovered� you all? RA: I didn�t really know Dave. He was one of the judges at a talent show. I heard that he was a very important record man. Back in that day, he was one of the few black record men but also the top black record man. He got a hold of my manager who was just coming out of college and wanting to be in the music business. He told my manager, �These guys will be a good starting place for you in the business.� So, they came down to see us at the church when we rehearsed and said he had never seen anything like us in his life. So all these decades later he�s still our manager, Toby Jackson. BC: How did it feel to be on a label like Stax with all of these super stars and yet still be able to do what you wanted to do: gospel? RA: I felt very, very privileged. When you have someone like the late Isaac Hayes to grab you by the hand and say, �Whatever you do, don�t stop singing gospel.� Or you have a Barry White tell you, �I really enjoyed you man, you�re on your way.� The Staple Singers, Johnnie Taylor. Most gospel artists start out taking their music to churches to sing on the gospel circuit but God turned our�s around and had us to do the first ten years of our music with secular acts and it took us into a different direction. It gave us a new way of doing gospel and dealing with audiences and to this day, I thank God for it. BC: After you left Stax which was known for its real soul, was that whole late `70s disco period rough for you all? RA: We went to Capitol Records next. I don�t know how to explain it but we transitioned right along with it. We�ve got a couple of albums full of disco gospel [laughs]. BC: What year did you start your church? RA: We started the third Sunday of July in 1985 under the founding of Bishop G.E. Patterson. I had known him since 1980 and he took a real interest in my preaching ministry. He came to the city, put down his money and bought a church building, preached the first sermon, and installed me as the pastor. That�s how that started. BC: When you sing, you come offstage and you�re done. But, when you�re a pastor it�s like you don�t have time of your won. How do you deal with that? RA: I tell people all the time that my schedule is actually handled by the Lord because if I had to do this out of my flesh, I�d probably go bananas. Somehow or another, He makes sure that I�m always rested enough to go to the church and do what I have to do. There�s a certain excitement about the church and the preaching ministry. I could have been up all night and suddenly develop a burst of energy that allows me to preach the Word and then come back in my chair and collapse. BC: Tell me about your experience with Myrrh Records in the 1980s. RA: It was a very good experience because at that time they were a subsidiary of Word Records and that was the company to be with if you were doing gospel. We were really happy about that because we could go to Word and have the upbeat contemporized music and scream the name of Jesus as often and loud as we wanted to without any pressure from anybody [At some of the secular labels, there was pressure to tone down their faith]. BC: There was a long recording gap after that. Why the long break? RA: I think there was maybe nowhere to go [in terms of another record label wanting to sign the group]. But it didn�t bother me because Bishop Patterson and myself were very close and he was just taking me everywhere with him and constantly helping me to improve my preaching ministry. In fact, my manager and my brothers were like, �Hey you seem to be a little too happy about this [laughs].� It was 1991 when we did another album and the Lord made it happen. RA: Right. Al Bell came back in and we had a huge hit with �Miracle Worker.� He gave us a new fan base and it will show you how God will hold something back until he�s ready for it to be used. I wrote the song �The Miracle Worker� in 1973 but it was not used until 1991. Way back in the day. I don�t remember what the name of it was but somebody had a national songwriting contest and they had cash prizes and honorable mentions. So, I wrote that song in like 15 minutes and sent it in just strumming my guitar and we got an honorable mention but nothing happened with it from that point on. Every album that we tried to put it on, it just didn�t fit. But when Al Bell heard it in 1990 he said, �Man, this is a hit.� Al is a very competent man and he said he�s going to make sure that it happens and that�s just what he did. We still have to sing it today. 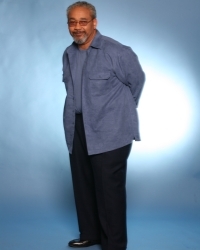 BC: A few years later Kirk Franklin and Fred Hammond started telling their generation that their favorite singer was Rance Allen. RA: Yeah that encouraged and blessed me. This was the new breed of gospel singers coming on the scene. For them to choose me as one of their favorite gospel singers said to me and to my brothers that our work has not been in vain. Kirk was the artist of that time when he called and asked me to sing. I had already decided that I wasn�t going to sing on anybody else�s project. When he called, I all of a sudden had a change of mind and said to myself, "Let me see what song he has for me." So he sent me the song, �Something About The Name Jesus.� When he sent it to me, the song didn�t have any verses. So, I�m listening to the chorus line and I got back with him and said, �It doesn�t have any verses.� He said he�d write them when I got there and that�s when he wrote the verses. So just like with �Miracle Worker,� the audience demands that we sing that in every show. BC: How are the personalities of you and your brothers, Steve and Tom, different? RA: Steve is more quiet and reserved and much more serious. Steve tends to be one who is very analytical. He�s going to check things out. My brother Tom is somewhat passive but in a good sense. He just wants everything to flow. Me, I�m the guy who knows what my role is. I�m the basically guy who pulls everything together. I�ve got to be cognizant of every little thing and notice what works and what doesn�t work. What�s going to be easy and what�s going to be difficult. BC: It seems your co-producer Chris Byrd is sort of a brother too. RA: Yeah, he is. I�ve known Chris since he was 19 or 20 and he�s a godson. He started his teaching ministry out of my church. When it came to becoming a professional musician, he gained the bulk of that experience after coming together with me. 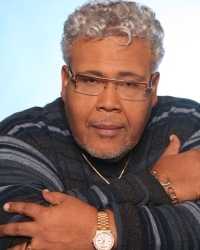 Today, he�s the music director for the Rance Allen Group and he was a producer on the last album. He�s an awesome young man to watch. BC: You�ve had some health challenges in recent years. RA: Just made me trust God more. Made me trust the Lord more and it makes you realize the importance of the people around you. I have a new respect for the people I love. In 1997, I had to have a back operation. I was just out and could not do anything. In all of the years of my marriage, there comes a time when you see that for better or worse part. At night, she would wash me from my head to my toe. She�d put my socks on for me. She spoon-fed me and all of that until I got back on my feet. You go through things like that and you notice how you made it through, you learn how to cherish the Lord and those people around you who show you unconditional love. BC: What would you like your legacy to be?